Okay ladies, its time to discuss. Hada Labo has been around for ages and we have heard plenty on their best-selling skincare product which is their Super Hyaluronic Acid Moisturizing Lotion which is the Number 1 Facial Lotion in Japan that improves dry and dehydrated skin, leaving it silky smooth. Now the brand introduces their new and improved Lifting & Firming Range, which focuses on certain skin issues (particularly for those over 30) such as fine lines, wrinkles, loss of skin elasticity and collagen, and with its improved formula, this targets the epidermis layer to realize youthful skin with firmness and resilience as well. Now in this upgraded range there are 6 distinct products which are the Lifting & Firming Lotion, Lifting & Firming Milk, Lifting & Firming Cream, Lifting & Firming Wrinkle Care Cream, Lifting & Firming Mask and Lifting & Firming Essence. 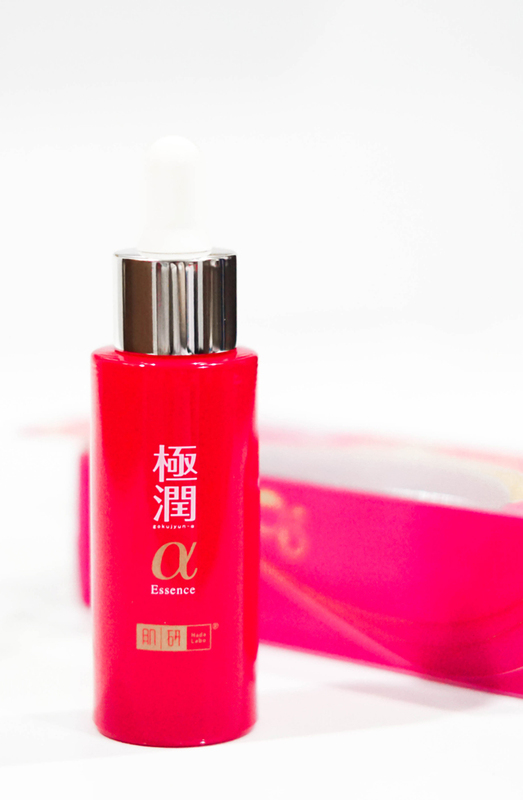 The one that caught my eye though was the essence that contains naturally derived Pomegranate extract and Lycopene, which boasts 100 times more antioxidant power than Vitamin E to fight signs of aging and pollution. What is interesting about this product though is that besides its strong formulation, it also helps improve its elasticity, together by boosting collagen in the skin to firm it well. It also gives deep moisture from the surface to its inner skin layers and it is best applied after using the Hada Labo Lifting & Firming Lotion with gentle pats onto the face, until it is thoroughly absorbed. Overall, at the price tag of RM89.90, the product is pretty decent, and besides that, I do like that it is fragrance free too. The absorption is quick and extremely cooling (not drying at all), so it is very gentle on the skin, plus with the entire range is pH balanced, it is free from alcohol, colorant and mineral oil as well. In the meantime, for further details on the product and more, you can head over to Hada Labo's Website and Facebook Page but with regards to its availability, it is already on shelves at all major pharmacies nationwide, so do check it out. Good news for those above 30. Also, the price seems very reasonable, too. This essence looks good, great for lifting (if i need any). I wonder if it would go well with my skin. My mom use this one since forever! It was a good product. Have not try it yet, but this brand always provide reliable products.